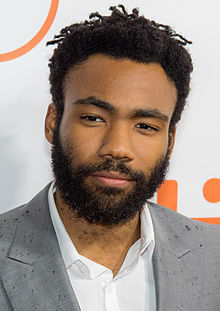 ↑ "Donald Glover stars in a new TV show about rappers in the Atlana scene". DailyBeast. September 6, 2016. สืบค้นเมื่อ September 7, 2016. ↑ "Donald Glover | Television Academy". Television Academy (in อังกฤษ). สืบค้นเมื่อ September 19, 2017. ↑ Berg, Madeline. "Donald Glover Wins Big For 'Atlanta' At The Golden Globes". Forbes (in อังกฤษ). สืบค้นเมื่อ September 19, 2017. ↑ Lynch, Joe (December 5, 2014). "Grammys 2015: And the Nominees Are…". Billboard. สืบค้นเมื่อ December 25, 2014. ↑ "Childish Gambino - Chart history | Billboard". www.billboard.com (in อังกฤษ). สืบค้นเมื่อ September 19, 2017. ↑ Fey, Tina (April 20, 2017). "Donald Glover: The World's 100 Most Influential People". Time (in อังกฤษ). สืบค้นเมื่อ April 8, 2018. หน้านี้แก้ไขล่าสุดเมื่อวันที่ 12 กุมภาพันธ์ 2562 เวลา 17:14 น.